Unternehmertum Venture Capital Partners (UVC Partners) was founded in 2011 and currently manages two funds. 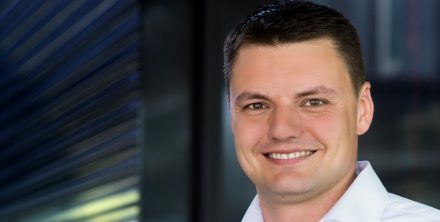 The early-stage venture capital firm concentrates on B2B technologies, with a portfolio currently including companies such as Flixbus, Konux, VEACT and fos4X. We talked with Benjamin Erhart, one of the partners at UVC Partners. Erhart became a part of the team mid-October. The team is being expanded parallel to launching the second fund, which already had a first close in early 2017 and aims at a target volume of 70-80 million euros. in the area of industri al technologies and smart enterprises. The funds are managed by five experienced partners. Although legally independent, we are part of the UnternehmerTUM ecosystem, as our name also indicates. UnternehmerTUM is Europe’s leading innovation and startup center. With more than 150 employees and over 50 industry partners, the center has extensive experience in establishing young companies. The companies in our portfolio benefit from the close collaboration with the UnternehmerTUM platform. That close partnership allows us to offer startups unparalleled access to talent, clients and partners. Do you have a preferred investment area? As an investor with substantial experience in different industries, we are not put off by complex products, risky development processes or long distribution cycles. For us, it is important for the team to be able to tap into or change a significantly sized market over the long term. A key focus is on B2B business models in Industry 4.0 / IoT, enterprise software / SaaS, mobility and smart city. In an investment round, we invest 500,000 to 3 million euros and up to 8 million euros per startup. We make investments from the seed stage up to the early Series B stage. We particularly focus on the founding team, a defensible technology, a differentiated business model and an attractive market. Would you also consider investing in unknown markets? We specifically focus on the fields already mentioned, since that is where we can assist companies with our expertise and industrial network. In general, we want to have a very good understanding of the markets we are involved in. In other words, we remain loyal to our focus, but do not completely block out other opportunities. We know it is the nature of our business for every disruptive company to be dealing with unknown territory. As long as we are talking about B2B technology startups, we are fundamentally open-minded and interested. … and you prefer to invest in Munich-based startups? We focus on the German-speaking region (DACH), but are also able to invest internationally. We do not limit ourselves to Munich-based startups, but have indeed preferred to invest in Munich companies in the past such as Flixbus, Konux or fos4X. The close proximity and good networking within the UnternehmerTUM ecosystem is a major advantage for both founders and investors. At the same time, three out of four investments made with our second fund have been outside of Bavaria. In particular, we are often directly contacted by software companies that are looking to access the industry. What kind of startup would you never invest in? We do not see ourselves as the ideal investor for B2C concepts, because we simply do not have the deep level of expertise in that area. The same is true for companies whose strategies can only be implemented with an extremely large amount of capital. How do you scout out promising companies? One of our major advantages compared to other investors is certainly having our office in the UnternehmerTUM building. Our situation is unique – founding teams, students and industry partners come to us at such a high rate. Then they launch their companies at Xpreneurs or at the TechFounders Accelerator, continue to develop at MakerSpace, concentrate on the latest technology at UnternehmerTUM X or work with partners in the industry in the Digital Product School. That all helps us establish excellent relationships with exceptional companies early on. We also actively go out and establish contacts at a large number of events. Moreover, we conduct detailed industry analyses in which we take a closer look at specific verticals and get in touch with relevant startups. We also encounter quite a few exciting startups through our network. Do startups need to worry about you getting too involved? We support founders where it makes sense and where they need it. That might be in sales, or it might mean establishing contact with potential industry customers. In those kinds of situations, we are able to fully utilize our contacts in the industry and provide sustainable added-value. That being said, we are not company builders or business angels who get involved with operative business. Instead, we act as venture capital investors who support companies without telling them what to do. Which stage is the ideal time for startups to contact you? Startups should contact us in their seed stage or Series A stage. It is also useful to get in touch with us with enough lead time before the planned closing date for a round of financing. That gives us enough time to get to know one another, establish a mutual basis of trust and perform a reliable due diligence process. After initial contact, how long does it take to conclude a contract? At UVC Partners, we conduct thorough due diligence and take time to properly understand the company as well as their technology, market, competition and business model. That allows us to make an informed investment decision, while also providing a solid base of information. We find it essential to establish a deep understanding of the company and their market in order to optimally support the startup after making an investment. From an investor standpoint, what does the Munich startup scene do well? What could be improved? Munich teams are often distinguished by their technological substance, customer orientation and the possibility to quickly iterate with their industry. These strengths should simply be developed even further. It is possible to directly contact our entire team; that means every analyst, associate or partner. It should be easy for excellent entrepreneurs to get in touch with us. You can find us through our network, at events, at www.uvcpartners.com or on LinkedIn.